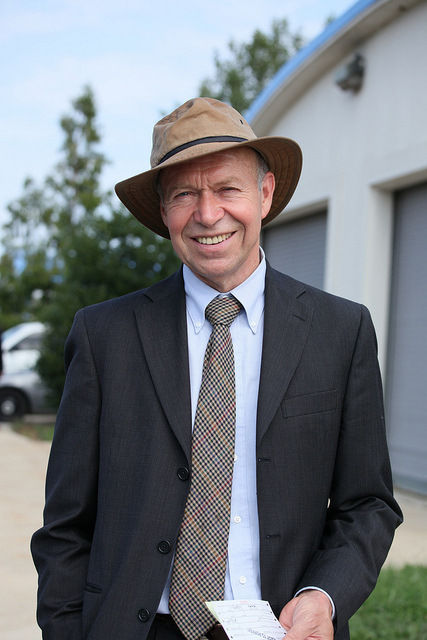 In response to years of what he views as dithering and ineffectual responses by government to the problem he helped identify, climate scientist James Hansen cited a moral obligation in leaving his post at NASA to campaign more actively for political and legal efforts to limit greenhouse gas emissions. So-called “doom-and-gloom” projections of future climate change have been derided for their pessimism, or maybe more often for the unpleasantness of their messengers, to the point that addressing climate change on these terms makes one seem petulant or gauche — no one really wants to hear it. The national political conversation completely buried talk of the climate problem after national cap-and-trade legislation imploded in 2010. Such an assertion is not unexpected coming from Hansen, who has been criticized for his rhetorical flourishes, even by colleagues who respect his work. Earth won’t turn into “a Venus-like baked-crust CO2 hothouse,” (a claim he has made in the past), at least until the Sun’s brightness increases over the next billion years and helps boil off the oceans. But, the paper reads, “the planet could become uninhabitable long before that” due to anthropogenic warming. Scientifically, much of the debate fixates on nailing down the planet’s “climate sensitivity” — how much warming actually occurs per unit of extra energy in the atmosphere. Looking at physical evidence of ancient climate change, the paper calibrates a computer model against times when greenhouse gas levels were comparable or higher than they are today. The authors calculate an average warming of about 16 degrees Celsius if we burn available fossil fuels. Previous scientific publications have suggested temperature increases on that scale could practically wipe out grain production in many parts of the world, and severely diminish the ozone layer that protects us from cancer-causing ultraviolet radiation. Worse, it could get so hot in all but the world’s very mountainous regions that anyone outside would overheat, suffering hyperthermia. Thus, his earlier dig at adaptation strategies. Broadly, there are two key categories of climate change action: mitigation and adaptation. Mitigation means pursuing efforts that limit or reduce greenhouse gas emissions. Adaptation assumes a certain amount of warming and asks what humans can do to adjust to their new environment in the future. If our current course of action even flirts with consequences like those suggested in this paper, Hansen and his co-authors suggest, adaptation will be impossible — a moot point. By the scientific assessment of Hansen et al., an extra 12 watts of energy per square meter in the atmosphere could have devastating effects. But could that much warming happen? Yes, they conclude: there are more than enough fossil fuels available to cause this warming (coal alone could do it, not to mention with the help of unconventional sources like oil sands and natural gas freed up by fracking).